Dr. Tighe’s teaching experience includes classroom instruction in homeland security, fire science, and political science courses. As an assistant professor of criminal justice at Western Oregon University, Dr. Tighe teaches Introduction to Homeland Security; Developing Homeland Security Practices; Implementing Homeland Security Strategies. Currently, as an adjunct instructor at Chemeketa Community College, he teaches the political science series including American Government, State and Local Government, Legislative Processes, and International Relations. Dr. Tighe has over 20 years of executive level management experience in Oregon state government. His past experience includes holding the positions of senior program manager at the Western Oregon Policing Institute; the director of the Standards and Certification Division, the Department of Public Safety Standards and Training; deputy administrator, Oregon OSHA; and manager, State Elections Division, Secretary of State’s Office. 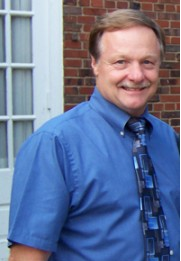 Dr. Tighe also has past experience as a full time and volunteer firefighter.